A sudden change in your arrival plans doesn’t have to mean arriving home to a hot, humid house (or a cold house, if we’re in our short winter season). With a user-friendly wifi thermostat, you will have remote access to control the comfort of your home environment from virtually anywhere. 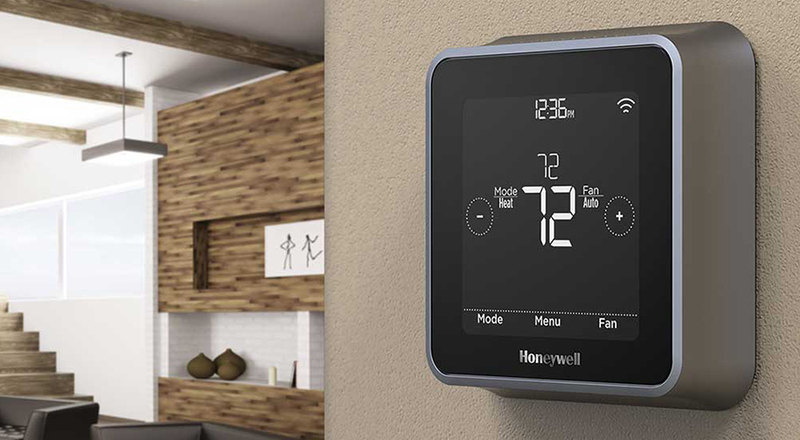 That’s right – with a compatible wifi thermostat, you can communicate to any part of your HVAC system. Different products offer a range of options — from the onscreen help button to remote sensors in each room to live weather alerts texted — right to your smartphone. There’s even a keypad lock to keep the kids from turning their rooms into a polar vortex. Howard Services Air Conditioning can help you select the right product, from simple to sophisticated. There’s even a wide range of designs meant to work well with your home’s decor. Not only can you save money, but you can look good doing it!